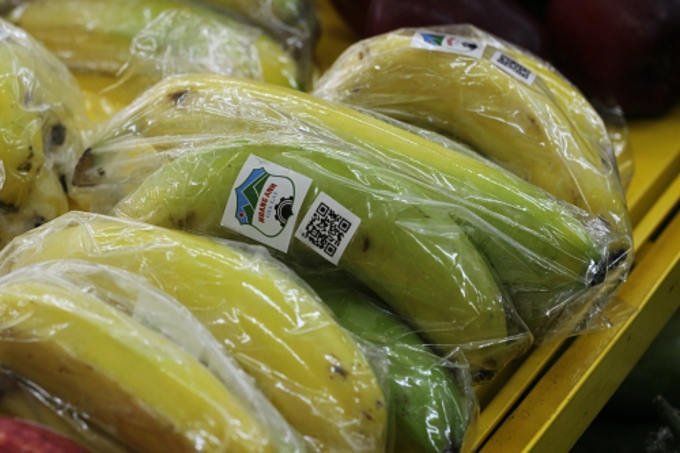 The company reported before the annual general meeting to be held at the end of this month that it expects bananas to contribute 73.3 percent of its revenues this year of VND4.78 trillion ($205.93 million). Its profit target is VND103 billion ($4.44 million). The firm hopes banana sales will grow for the next three years as it seeks to reduce the losses suffered last year by cutting down on inefficient investments and moving from palm oil to fruits among other strategies. Chairman Doan Nguyen Duc said the company has been depending rapidly ripening plants such as banana, chili and passion fruit to speed up the company’s cash flow cycle. Other fruits expected to bring revenues this year include dragon fruit, which is expected to bring in VND575 billion ($24.78 million), jackfruit (VND108 billion, $4.65 million), pomelo (VND65 billion, $2.8 million), and mango (VND57 billion, $2.46 million). HAGL used to be a leading property developer in Vietnam, but restructured itself in 2010 to focus on agriculture, rubber and livestock farming. Agrico reported revenues of VND3.69 trillion ($159 million) in 2018 and losses of VND659 billion ($28 million) compared to a profit of VND527 billion ($22.7 million) in 2017.